Email and scheduling are two of the most commonly used tools at work. And Gmail and Google Calendar have been core to helping our Apps customers get things done. As phones have become one of our main devices at work, school and home—whether you’re checking your schedule on the move between meetings, reading your email in the taxi on your way to the airport, or responding to a customer request while at your daughter’s basketball game—we need mobile apps that help us get things done. Today, we’re introducing the brand new Google Calendar app on Android—built to save you time and help you make the most of every day—and the new Gmail app on Android that has a more modern style, sleeker transitions and supports other email providers. Today, the Gmail app for Android is getting updated with a more modern style, sleeker transitions, and a few other handy improvements. Lastly, we know some of you have email addresses that aren’t Gmail (it’s okay to admit it). The updated Gmail app now supports all email providers, which means you can now set up a separate inbox for, say, your Yahoo Mail or Outlook.com addresses using POP/IMAP. The updated Gmail app will support all Android 4.0+ devices, so look for it in Google Play over the next few days. 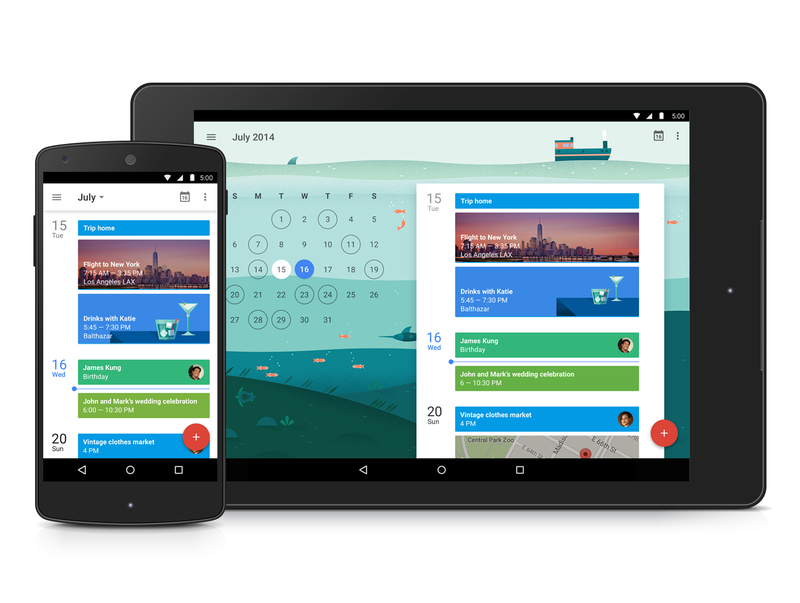 We hope the new Gmail and Calendar Apps on Android help save you time when working on the go.